2. If operating in 2X4 mode, make sure the differential is locked. hill while keeping your feet on the footrests. 5. 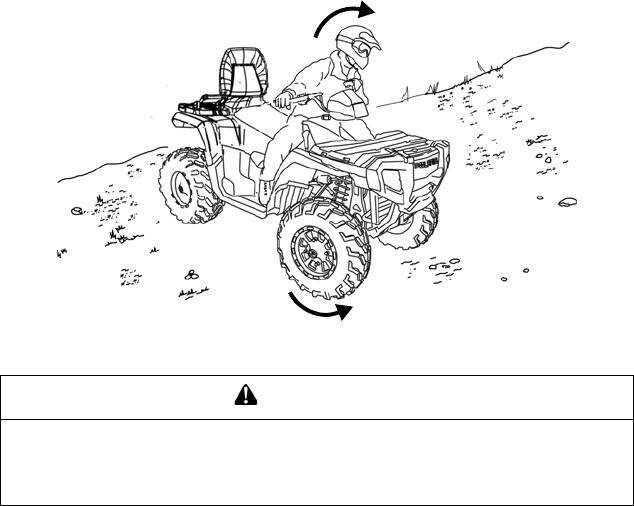 Steer slightly into the hill to maintain vehicle direction. of a hill when possible. Do not cross a hillside with a passenger on board. Follow proper procedures as outlined in the owner&apos;s manual.